Sheriff Gaming is a young, innovative gaming company who keep hitting the nail on the head and have hit a homerun once again with this fresh look on an old classic. 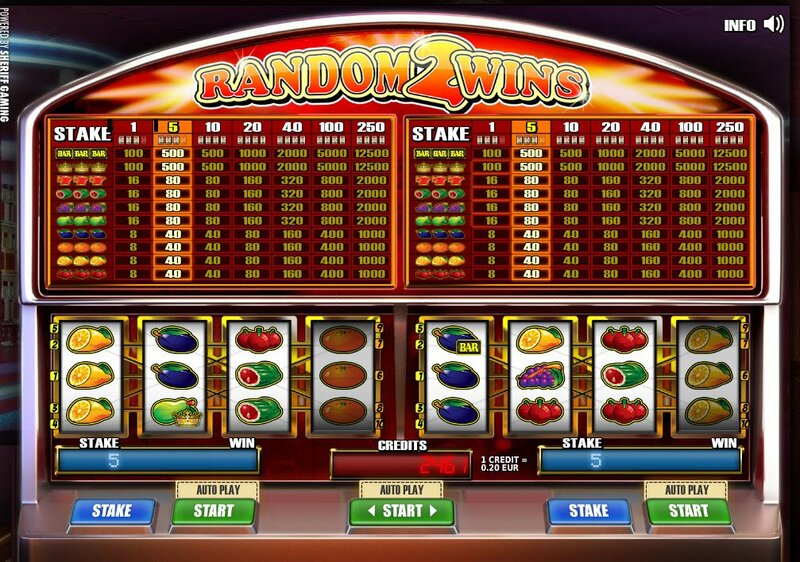 Random2Wins slot machine has taken two ordinary old school 3-reel slot machines and puts them together, next to each other, for more random chances to for more wins. The fresh, colourful and inviting machine splice gives us double the fun and double the wins. There is also the option of just playing one machine at a time, or auto-playing them both, separately. You can also enjoy the Random2Wins slot auto-play feature on both 3-Reels together, for a total of 6-reel's and double the paylines. These reels definitely nod their respective hats to an earlier time in gambling land, where you would sit on the penny slots at a casino for hours on end, slotting those coins in and pulling the lever, hoping to hear the whooshing sound of a win. Now Sheriff Gaming have given you that excitement and old school vibe, with double the playing power! There are Double Symbols amongst al the old favourite retro fruit style symbols, golden bars and red sevens with golden crowns on. The simultaneous spinning action can be enjoyed on auto-play or on its own, or slightly out of sync with reach of the two machines, for a variety in playing style that lets you personalise these reels to your own playing style. 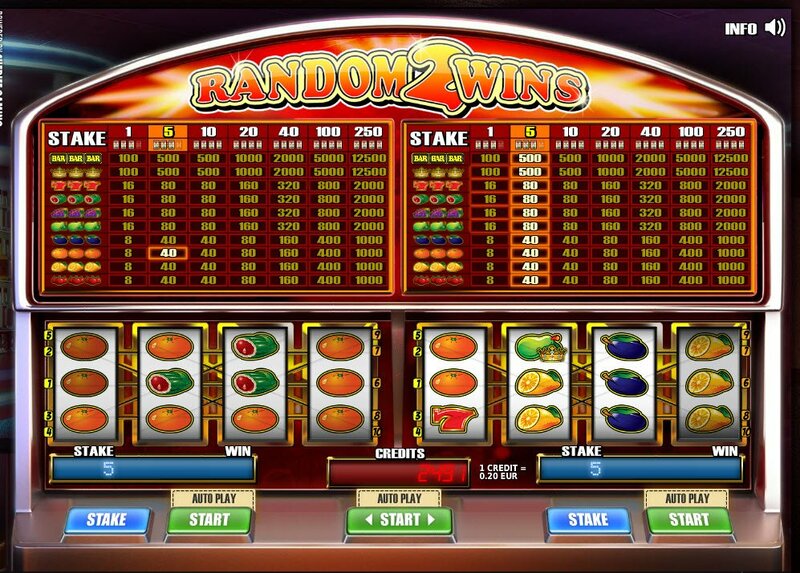 You can also enjoy the Random2Wins slot auto-play feature on both 3-Reels together, for a total of 6-reel's and double the paylines. To begin playing the slot machine game on the left, wager 1 or 5 credits and reels 1 through 3 will start spinning. To play the 4th reel, wager 10 credits. You will then have 10 active win lines in action. 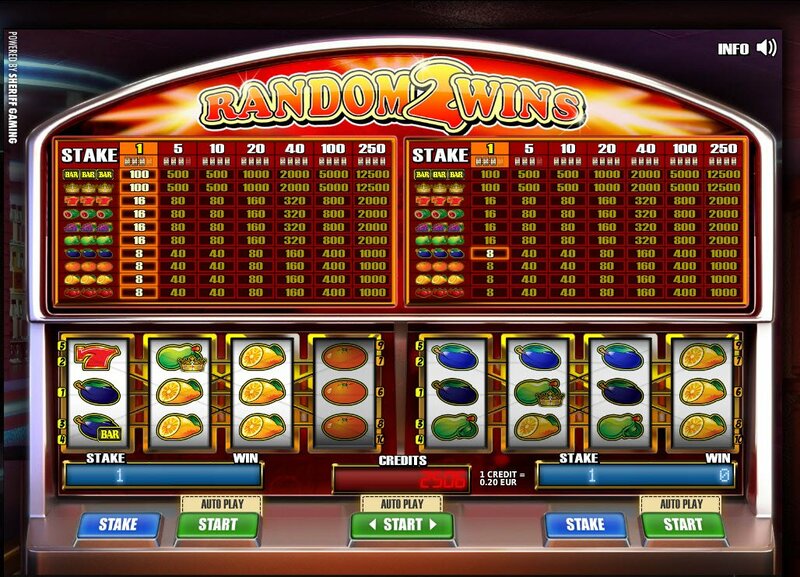 It may seem slightly complicated at first, but once you have the hang of your wagers and bets, you'll be spinning as many lines as possible for as many Random2Wins as you can gather!